The Fiat 2000 Heavy Tank was Italy’s first Heavy Tank. Developed in the 1920’s, x2 prototypes were built as were x4 pre-production models and remained in the service with the Army until 1934. It was well armoured for its time, with the x10 road wheels covered by armoured steel plates. 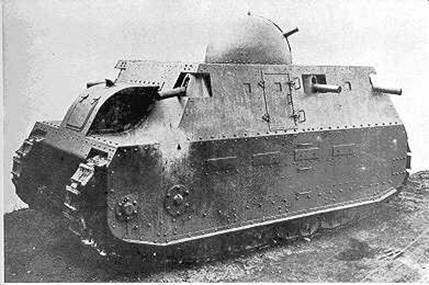 It proved capable of crossing trenches and had a dome shaped turret with a 65mm Main Gun. Further MG’s were located on the corners and rear of the vehicle.